It’s been a while since I’ve written. It’s not for lack of thinking about you. To tell you the truth, I think about you all the time — what you’ve been up to, what’s been happening to you, where you’re going. Especially where you’re going. There was a time I was completely infatuated with you. Who wouldn’t be? You were charming, open, sunny, a little dirty, unexpectedly seductive. You showed me things I’d never seen before and were completely accepting of all my little ignorances and idiosyncracies. You made me the person I am today. But things gradually changed a few years ago. You started getting demanding and even, at strange times, a little prudish. You started not making any sense, closing some places, keeping others open, contradicting yourself at irritating times. And then you started on that self-righteous streak where you became a teetotaller at strange times of the day. We thought it might be a phase. But it wasn’t. 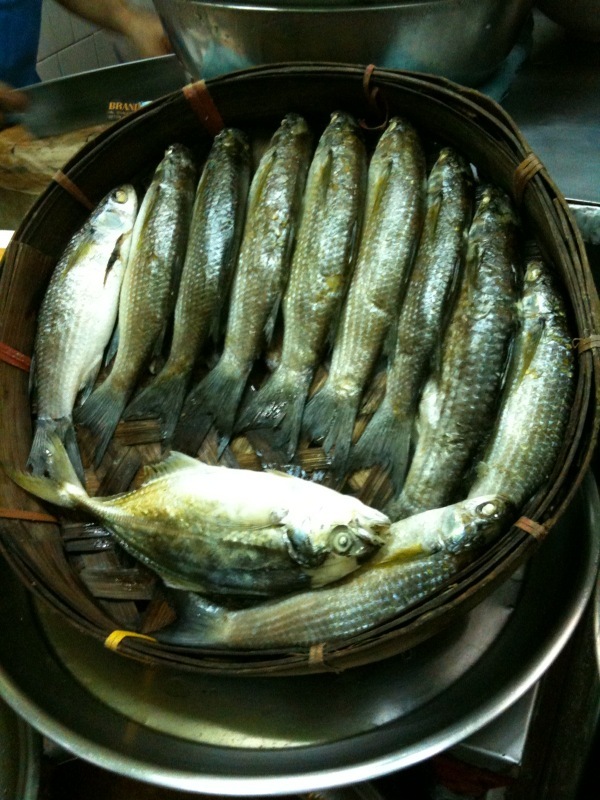 Gradually, more and more, you became more restrictive and self-conscious. It wasn’t a pretty sight. It was like you wanted to deny who you really were. And then this happened. It’s sad to see you this way. You didn’t deserve this, no matter how cray-cray you were getting. But I know you will eventually prevail. And whatever it is that you need, you know you can ask me. You can ask anyone. You have tons of friends who will do anything for you at the drop of a hat (for more info on this, check out www.sathira-dhammasathan.org or call +662-510-6697). I’d like to remember the best parts of you, the best parts that are still there. gleaming in the rubble, indestructible and obvious to anyone who looks. If people are the reflection of the place in which they live, food is the mirror to those people (you don’t want to follow me all the way out on this limb? Come on). 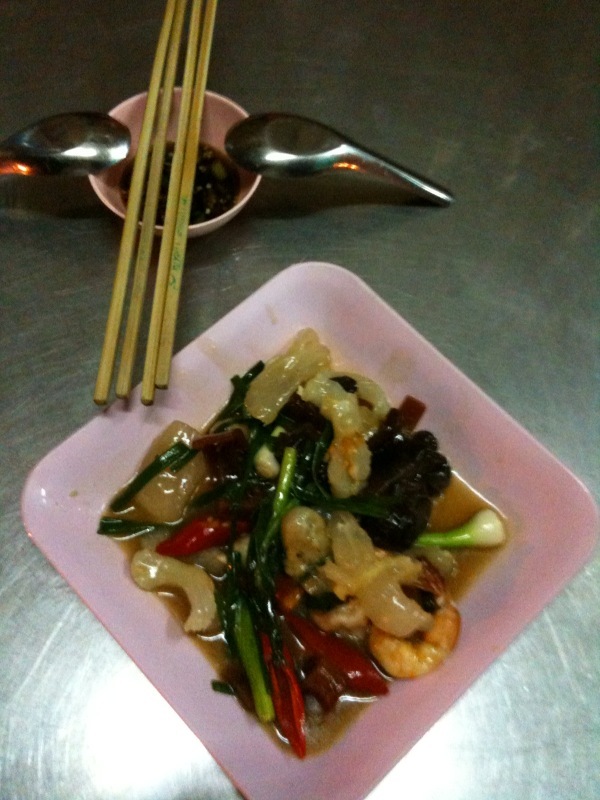 And there is nothing more expressive of Bangkok’s freewheeling stylishness than its food. What most reflects Bangkok’s spirit? To me, it is its myriad made-to-order food stalls (aharn tham sung), tiny and not-so-tiny stands armed with the best produce of the day and great cooks able to do anything you ask of them. 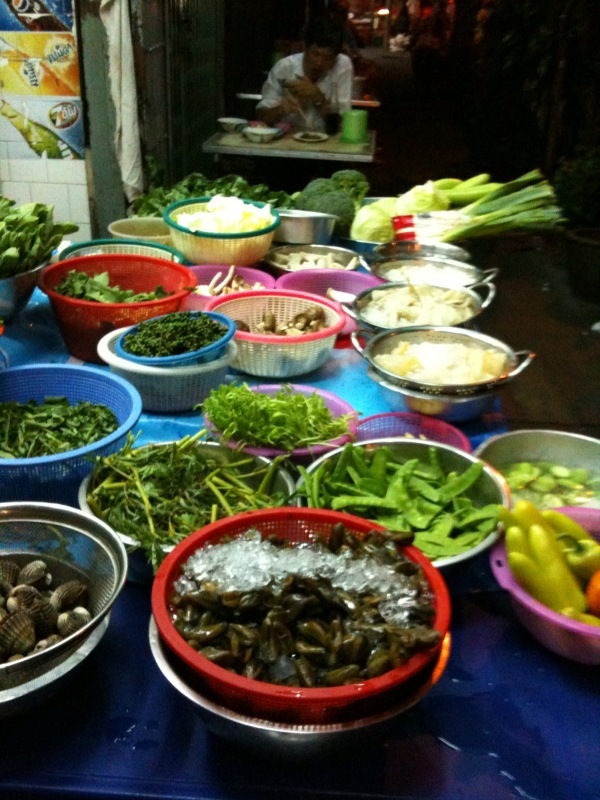 Although some have menus in an attempt to control costs and ensure quality control (not all chefs know every dish), the real, bona fide tham sung food stalls have no menus and no rules — just fresh meat, fowl, seafood and veggies, plucked from the rivers and fields and cooked a la minute to accompany your rice, Thai rice porridge, and beer. Unsure of what you want? Just point to an ingredient — I picked out a gelatinous bowl of pork tendon that was eventually stir-fried with red pepper, shrimp and scallions — and the chef will simply make something up, on the spot. To me, this is real cooking and real “Bangkok”: the opposite of the frozen perfectionism and manicured sterility associated with Cook’s Illustrated and Singapore, a creative burst of self-expression that is all about … well, life, its good parts (the “glitzy” hotels and high-rises) as well as the gritty (everywhere else). Life has its highs and lows, dramas and comforts, and nowhere illustrates those extremes more thoroughly than you, Bangkok. So take your life back by the reins and get ready to welcome people like me, eager for the best of what you have to offer, even with banks burnt to a crisp and the streets cratered with holes like a concrete teenager. Life (and stomachs) won’t be held back, and neither will the people who supply Bangkokians — red, yellow and rainbow-colored — with what they need (good food). Baby mussels, jewel-like greens ready for the stir-fry pot, braised pork spare-ribs: bring it on. We’re getting hungry. This post was so melancholic. Made me very sad, but great post though! Thanks. I was going for…uplifting? I don’t know. Go figure.